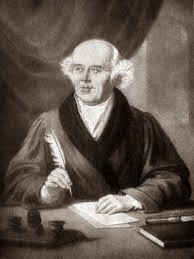 259th birth anniversary celebrations of Dr S C F Hahnemann, by Devs Homoeopathic Medical College & Hospital , R R District , A P , India. 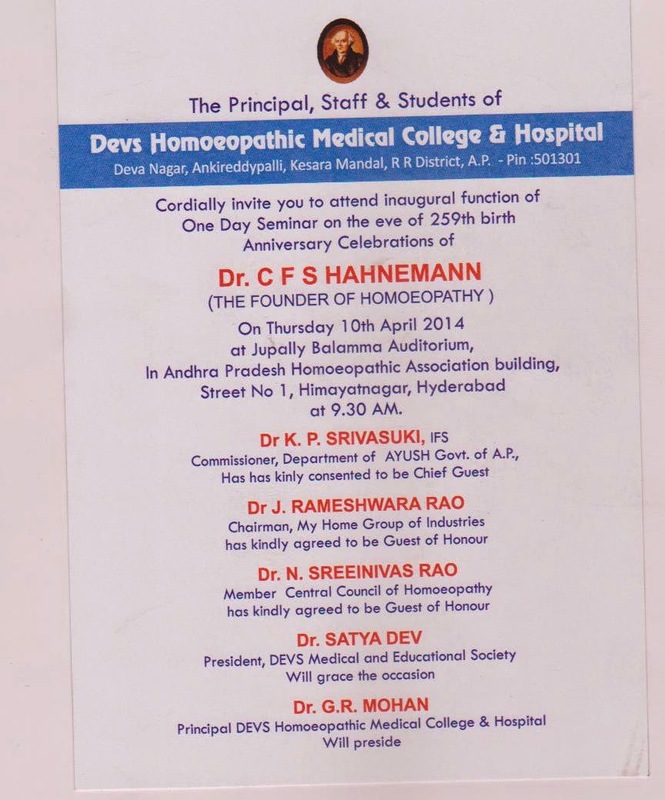 Devs Homoeopathic Medical College & Hospital , R R District , A P , staff and students are Organizing one day Seminar on the eve of 259th birth anniversary celebrations of Dr S C F Hahnemann’s, on 10th April 2014 at 9.30 AM. The venue of the Seminar is at Jupalli Ballamma seminar hall ,A P Homoeopathic Association buildings, Street no 1, Himayatnagar,Hyderabad, Dr K P Srivasuki Commissioner,Department of AYUSH, has given consent to inaugurate the Seminar. Dr J Rameshwara Rao ,Chairman, My Home Group of Industries and Dr N Sreeinivas Rao , Member C C H agreed to be guest of Honor. Dr Satya Dev President, Devs Medical and Educational Society will grace the occasion. Over coming the anxieties in Medicos : by Dr Baskar Naidu , Clinical Psychologist, Roshni Counselling center , Begampet ,Hyderabad.